Janelle has a strong passion for holistic health and wellness. Born into a family of Chiropractors, her knowledge and passion is deeply instilled in her roots. She has made it her mission to share that passion through spreading knowledge to others. After graduating from The University of South Carolina with a Bachelor of Science in Experimental Psychology in 2009, she moved to California where she was able to truly immerse herself in holistic health and yoga. She completed her 200-Hour Yoga Teacher training from Yogaworks in 2014. In 2016, Janelle completed her training to become a Certified Thermographic Technician through PACT. 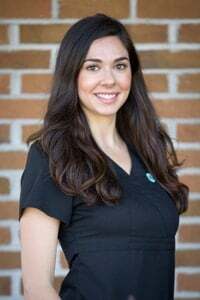 As a mobile CTT, Janelle offers Thermography in multiple locations across CA, SC, FL and GA. Janelle is excited to call Charleston home and looks forward to making a difference with prevention through Thermography! E-mail Janelle@flowwell.org for more information.